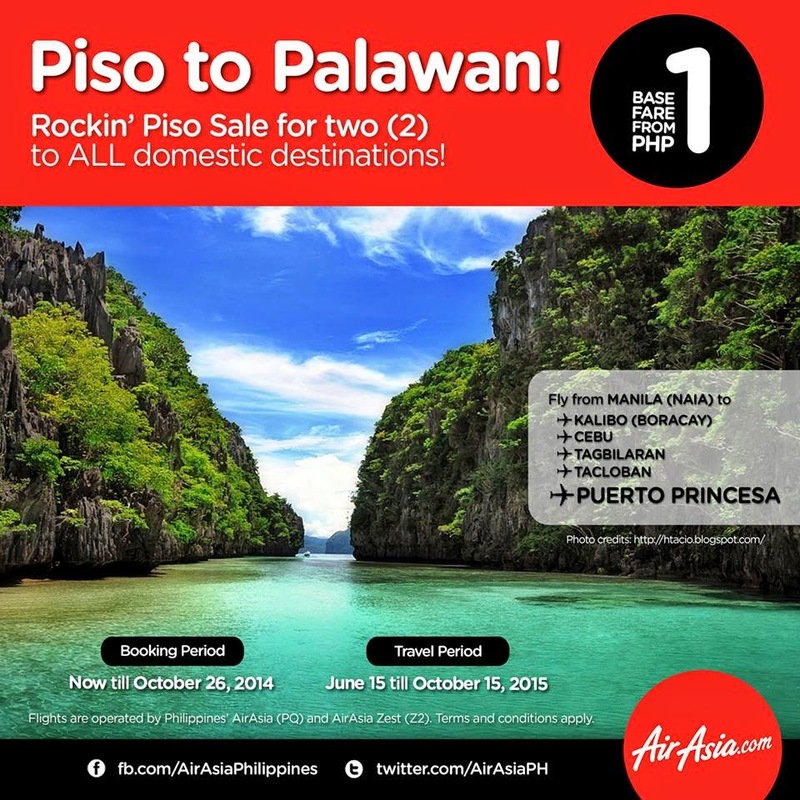 Air Asia Promos 2019 to 2020: Piso to Palawan 2015! AirAsia Zest Piso Fare 2015: Palawan (Puerto Princesa) has been named as one of the best islands in the world to visit! So, here we are giving you this treat! A Piso sale for two (2) to Palawan! Details below! Please mind the travel dates as these are for June to October 15, 2015 travel period. Other destinations are also on Piso Sale! You can fly from Manila to Kalibo (Boracay), Cebu, Tagbilaran or Tacloban. Yeah! You’ve read it right! Your seat to fly to Philippines’ best will only cost you from as low as P.50 base fare! Be sure to book for two (2) guests for you to see our Rockin’ Piso Sale for two (2)! Fly to/from Manila, Cebu, Kalibo, Puerto Princesa, Tacloban and Tagbilaran! Book online at http://bit.ly/AirAsiaPisofor2 or via your smartphones when you download the AirAsia Mobile App. 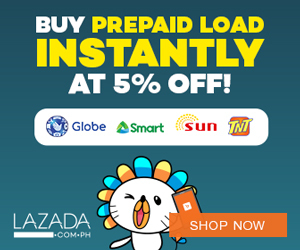 Pay online via credit/debit cards or cash via our offline payment partners: 7-Eleven, Bayad Center, Cebuana Lhuillier, Robinsons Department Store, ECPAY or SM City Malls. What are you waiting for? Go around PH with your travel buddy and let your P1 fly you to and with the world’s bests! ‘Share’ this with your family and friends now!